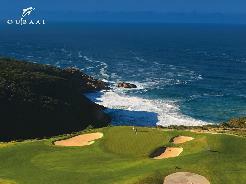 Mossel Bay Links is situated on high ground and the sea is visible from every tee on the course. 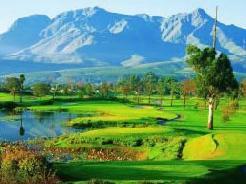 This 18-hole links layout has recently been remodeled and upgraded and is now getting rave reviews from local golfers. 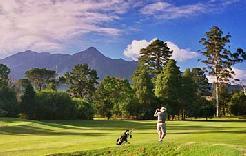 The golf club is situated above a peninsular that juts out into the Indian Ocean with terrain that is densely vegetated and undulating. 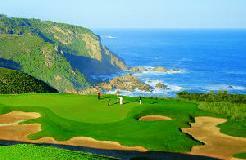 Mossel Bay is a pleasant course - hilly and susceptible to wind it can be a tough test in windy conditions. 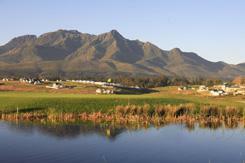 The course is invariably in good shape all year round. 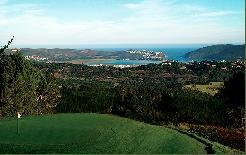 The climate is Mediterranean with prevailing south easterly winds in summer and north westerly winds in winter. 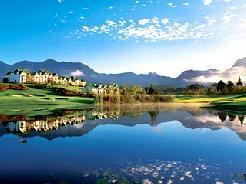 Signature Holes: An excellent hole on the front nine is the 4th which is a 140-metre par-three which lies on a slope. The 12th (163 metres) is another good short hole with sweeping views of the sea. Both the tee shot and the approach at the short (261 metres) but tricky par-four 18th are 'blind', which means that the golfer cannot see the target as he or she is busy lining up the shot.